My housemate is going trekking in Peru next week so I felt the need to make something Peruvian to mark the occasion. Anticuchos (beef heart kebabs) weren’t quite doing it for me and I felt marmalade sandwiches were a bit basic then I stumbled upon Alfajores. 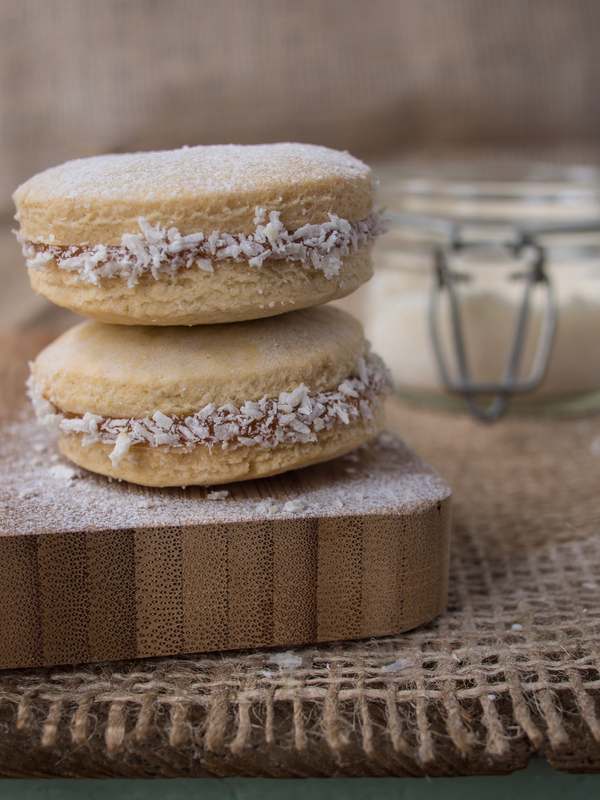 Delicate shortbread biscuits sandwiched together with dulce de leche and dusted with icing sugar. Pronounced Al-fa-ho-res, these little biscuits melt in the mouth thanks to the cornflour in the biscuit dough. 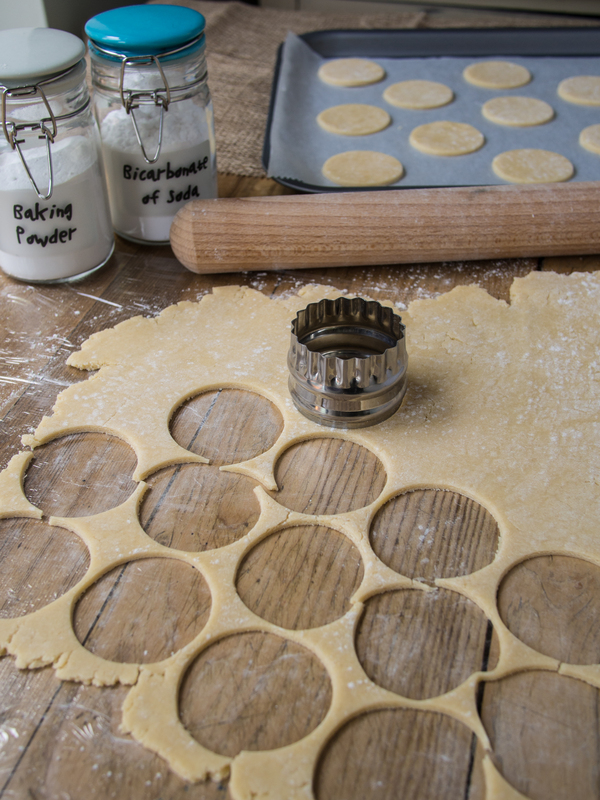 Traditionally, these biscuits are round in shape and most recipes I researched called for a 2 inch plain or fluted round cutter but you could use any small cutters. 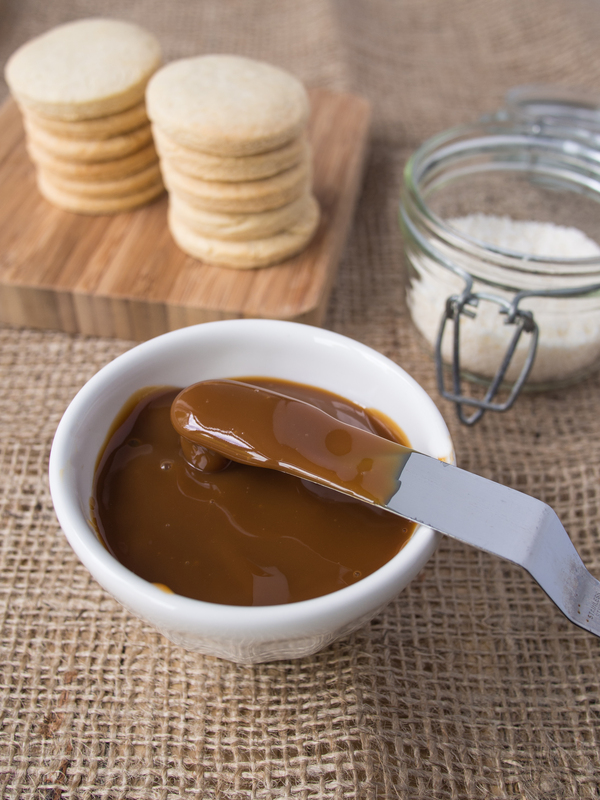 I cheated and bought Bonne Maman Confiture de Caramel rather than making my own dulce de leche but it was quite runny and tricky to sandwich the biscuits together so I won’t short cut again! Measure the flour, cornflour, salt, baking powder and bicarbonate of soda into a medium bowl, whisking briefly to combine, then set aside. Cream the softened butter and sugar in a stand mixer (or another mixing bowl if you have a hand whisk) and mix on medium speed remembering to scrape down the sides of the bowl to incorporate everything that creeps up the sides of the bowl. This should take 3-5 minutes until the mixture is lighter and fluffy. Add the egg yolks, brandy or pisco and vanilla and mix briefly to combine. Scrape the sides of the bowl again and then with the mixer on low speed, start adding the flours until just incorporated. Turn the dough out onto a piece of cling film and shape it into a flattened ball then wrap tightly. Chill in the fridge for at least 1 hour or up to 2 hours if possible. Meanwhile, set a shelf to the middle of the oven and preheat to 160c. Line two baking sheets with parchment and set aside. Remove the chilled dough and unwrap half of it onto a lightly floured surface and roll out to a thickness of approx 3-4mm or 1/4 inch. Replace the unused dough back in the fridge. Cut out 20-25 rounds (if you are using a 2 inch cutter), rerolling until all of the dough has been used. Repeat with the other half of the chilled dough. Place the rounds at least 1 cm apart onto the prepared baking sheets, baking one sheet at a time until the cookies are firm and pale golden on the bottom. This should take about 12-15 minutes and they will remain pale on top. Transfer to a wire rack to cool. Once completed cool, match up into pairs of like sized cookies and spread some dulce de leche on the bottom of one cookie then sandwich together gently with its other half. Roll the sides into the coconut and dust with icing sugar to serve.